The call - Leg nicht auf! / Regie: Brad Anderson. Drehb. : Richard D'Ovidio. Kamera: Thomas Yatsko. by Chestnut, Morris | Breslin, Abigail | Berry, Halle | Debney, John | Yatsko, Thomas | D'Ovidio, Richard | Anderson, Brad. Visual material | 2013 | Thriller | More titles to the topic Availability: Items available for loan: Stadtbücherei Wyk auf Föhr [Call number: DVD / D 1977] (1). by Mitchell, David | Broadbent, Jim | Berry, Halle | Hanks, Tom | Toll, John | Wachowski, Andy | Tykwer, Tom | Wachowski, Lana. Visual material | 2013 | Literaturverfilmung | More titles to the topic Series: X-Edition.Availability: Items available for loan: Stadtbücherei Wyk auf Föhr [Call number: DVD / D 1820] (1). by Bon Jovi, Jon | Biel, Jessica | Berry, Halle | Debney, John | Minsky, Charles | Fugate, Katherine | Marshall, Garry. Visual material | 2012 | Komödie | Liebe | More titles to the topic Availability: Items available for loan: Stadtbücherei Wyk auf Föhr [Call number: DVD / D 0861] (1). by Ribisi, Giovanni | Willis, Bruce | Berry, Halle | Pinto, Antonio | Michos, Anastas | Komarnicki, Todd | Foley, James. 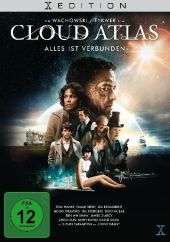 Visual material | 2007 | THRILLER | Psychothriller | More titles to the topic Online resources: Click here to access online Availability: Items available for loan: Stadtbücherei Wyk auf Föhr [Call number: DVDL / D 0566] (1).